Still has its factory OD green textured finish. I bought this helmet strictly for Me & I upgraded it with the MICH version Velcro, pads, chinstraps, Digital Camo cover, elastic band & ESS Goggle w/cover. 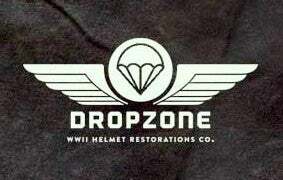 This helmet has ZERO military history that I am aware of but if you want a Genuine Marine Kevlar helmet in your collector or perhaps even personal use here you are. ABSOLUTELY NO SALES OUTSIDE THE USA FOR THIS ONE. INTERNATIONAL LAW PRETTY MUCH BANS ME FROM SELLING THIS ONE WITHOUT A PERMIT WHICH I DO NOT HAVE. I accept Paypal, Money orders or checks. USA shipping is $16.00 for USPS Priority Mail.